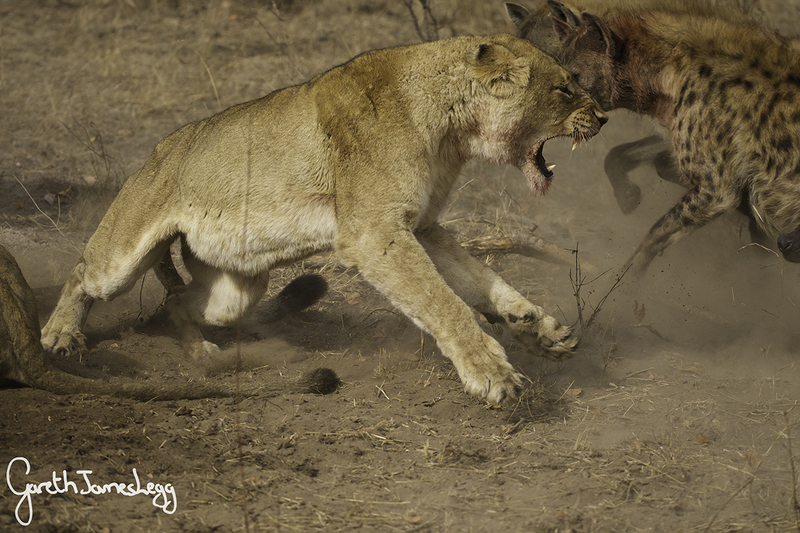 A juicy buffalo carcass is a highly prized commodity in the African bush – one that's worth picking a fight over. 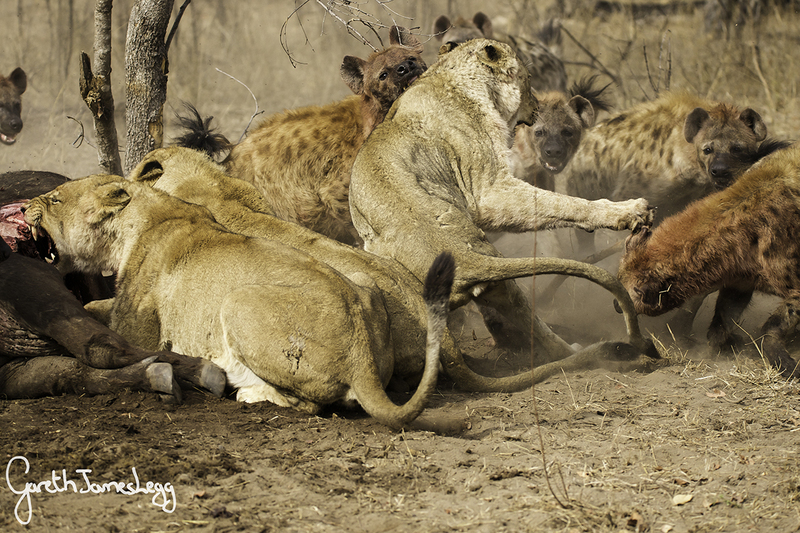 This fierce clash of lions and hyenas was caught on camera by seasoned ranger Gareth Legg while guiding a safari in South Africa’s Kruger National Park recently. "We arrived at the sighting to find a pride of nine lions feasting on the spoils of this large male buffalo, which can weigh up to 900kg – a massive prize for any pride," says Legg. Hunting buffalo can be dangerous business, but for the lions, the rewards usually outweigh the risks. In this case, though, it seems the big cats made a strategic error by leaving a young male lion in charge of the spoils while the rest of the pride headed out in search of water. 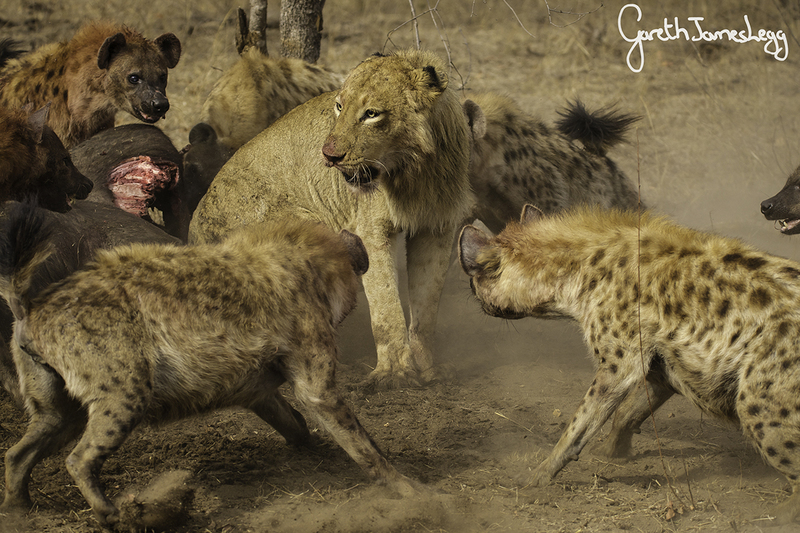 With the carcass poorly guarded, hyenas saw an opportunity to claim it for themselves. "The young male fled the scene and ran for his life; shortly thereafter, the hyenas began yodelling, whooping and calling [as] their numbers and confidence grew," he adds. All the commotion brought even more contenders to the scene, with a smaller pride of three lions trying to stake a claim next. "They fed for a few minutes with the hyenas encircling them and getting braver and braver, until eventually the hyenas could not wait any longer. 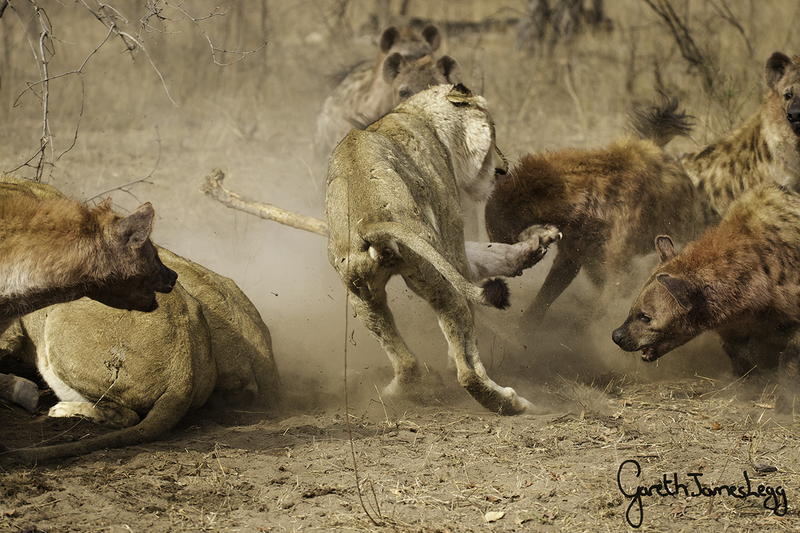 The hunger and excitement exploded in an incredible display and a battle between two super-predators," Legg recalls. Periodic outbreaks of disease have killed vast numbers of lions, wild dogs and other carnivores. But not hyenas. Why? Hyenas are more than just scavengers!